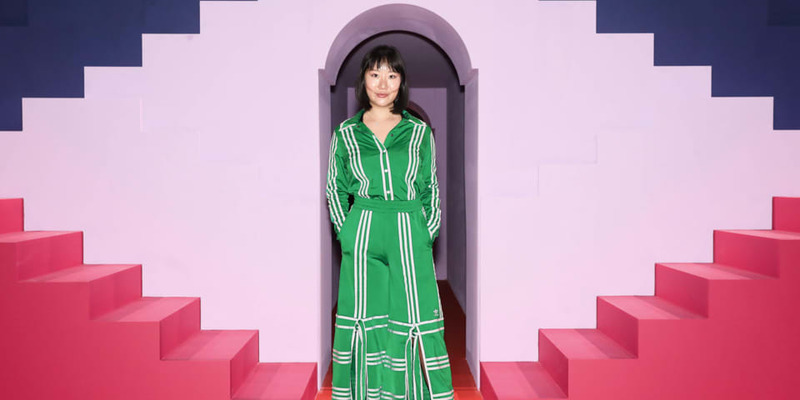 For Spring/Summer 19, adidas Originals partners for the first time with emerging fashion designer Ji Won Choi. She investigates human cultures in her designs and uses them to promote positive change. The collection features distinctive silhouettes with a directional play on the classic three stripes. From track suits to bodysuits, the styles take inspiration from adidas Originals' Bellista and adicolor ranges. Brand Ambassador Kendall Jenner lends her creative input to the launch of the collaboration at London Fashion Week, continuing her support of emerging talent within the adidas Originals family. Sign up and be the first to know about upcoming drops of adidas Originals by Ji Won Choi.